• Small and portable. It is very convenient to put it in trunk of car, and also you can take it every where. 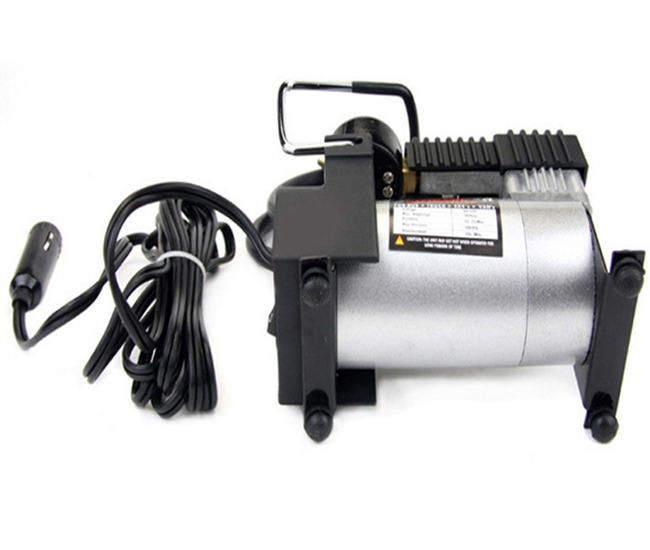 • Convenience in an air supply when you need it with this high quality. You just need 5-7 minutes to inflate your empty car tire. • Multifunctional. 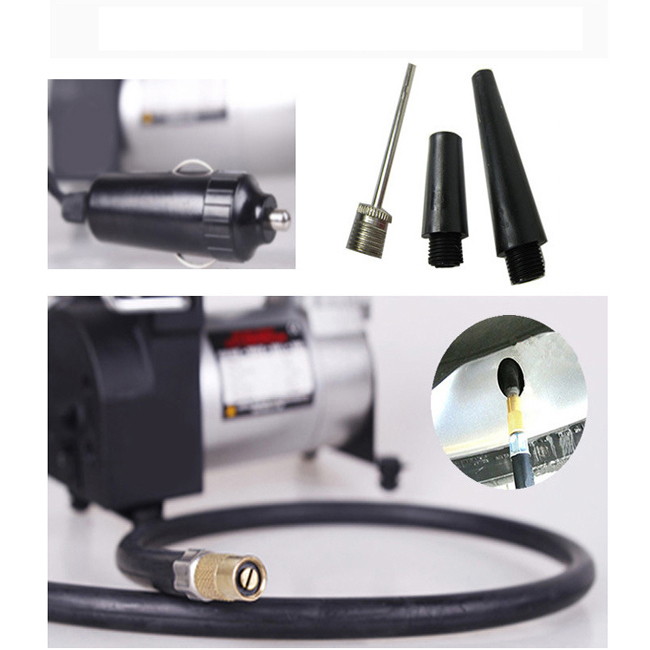 You can inflate car, bicycle, motobike, balls, rubber boats, etc..
• Powered from your DC 12V cigarette lighter socket. Microprocessor could always monitors the tire pressure. 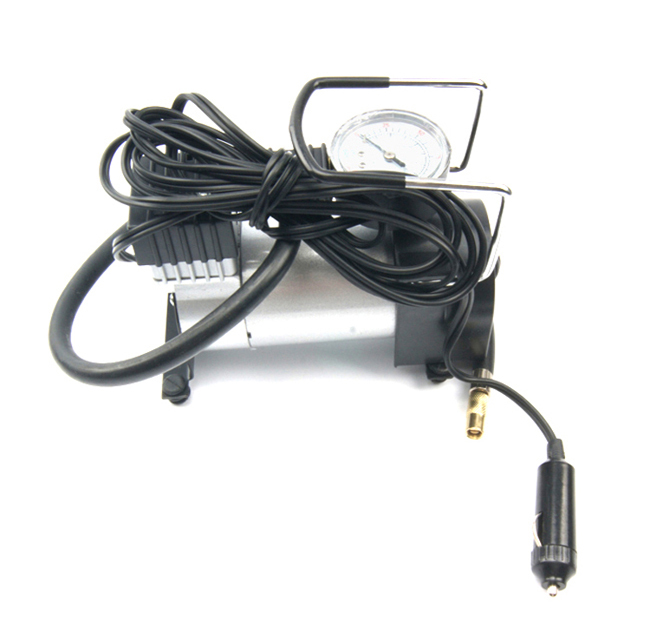 It will automatically stop at the precise pressure which you set on the LCD display gauge. Accuracy ±1 PSI. Plug directly into battery of your Vehicle. • The maximum tire pressure is 150 PSI. 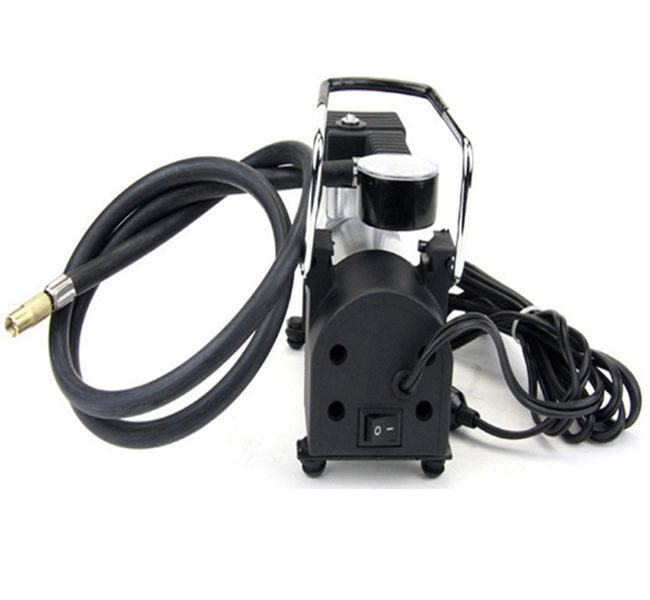 These high-quality, portable pumps feature steel components and are designed to with stand years of use. Have access to air in any emergency. 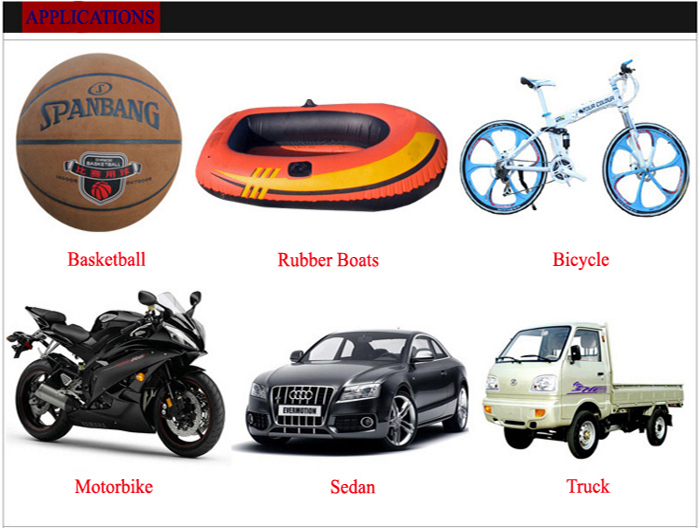 Great for camping, inflatables for the kids, flat tires, and much more. 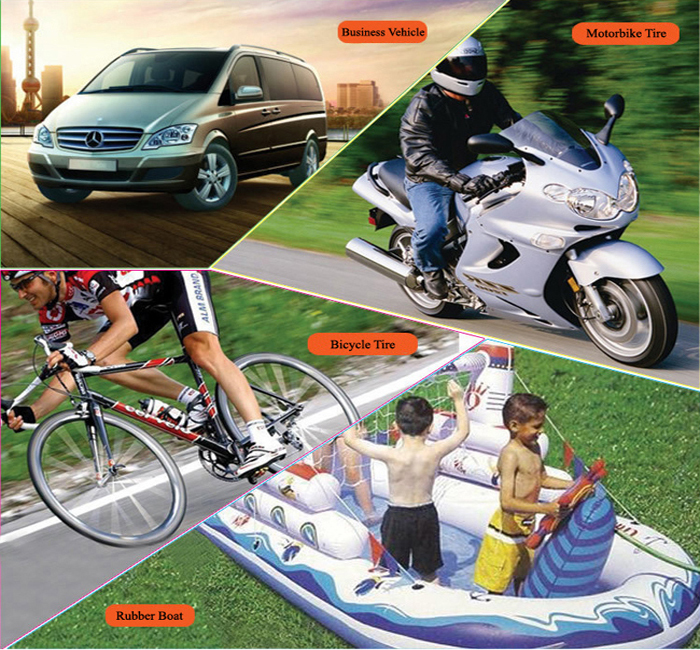 Don't worry about inflating that inner tube – let the machine do the work and enjoy your trip. 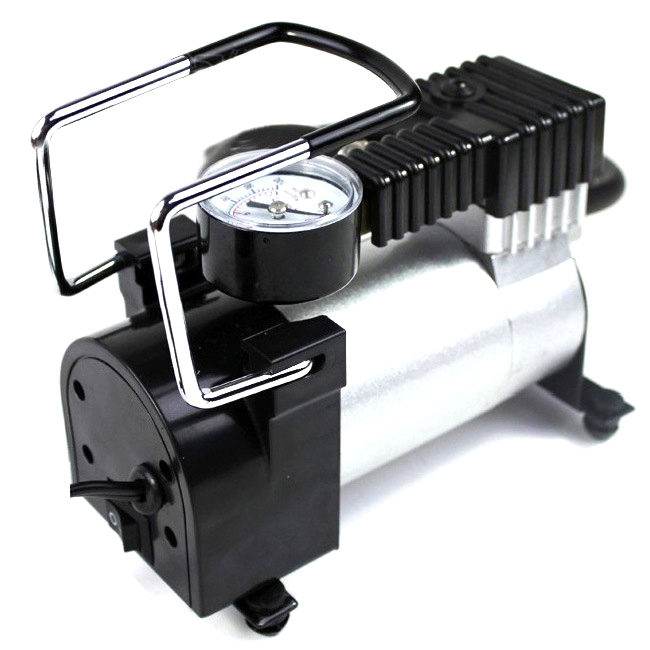 1.While the compressor working, keep the engine running to enhance the power. 2.Don't use 24V, 36V,110V and 220V power source. You just use DC 12V. 3.Keep the inflating at your attention.